Rather than spamming the forum with links to my articles, I'll just be collating them all in one place. First up, a new battle report for Skirmish Sangin. It's got technicals, SAS and more! Cracking little game - are UCAVs particularly powerful in Skirmish Sangin then? Yeah they are pretty devastating. As well as the effect of the high explosive (Kill zone is max damage and rather large) it also forces a morale test for all irregulars on the board at -40% for the first hit and less for future hits. Downside, unless you have a JTAC it can be hard for it to actually come in. 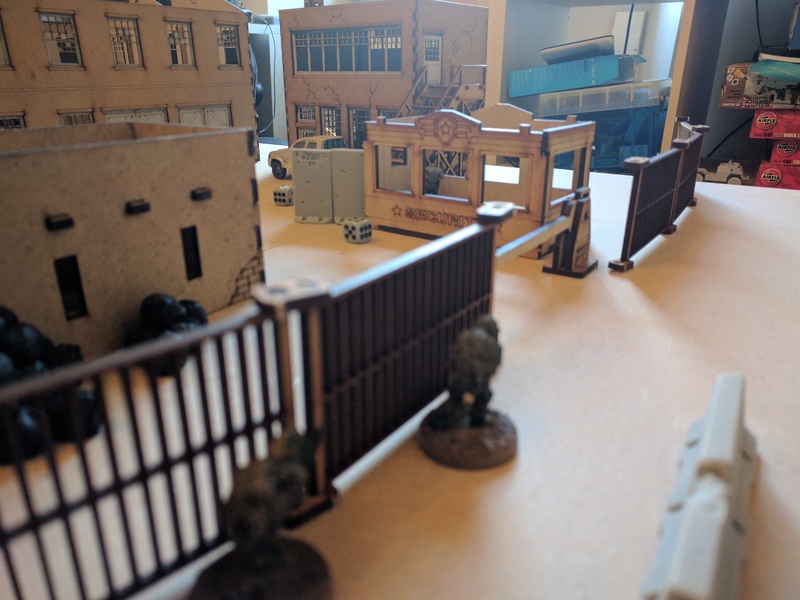 Desperate for some more Skirmish Sangin time and too busy during the week, I've played my first solo game to try out some new rules. The battle report is over at my blog at http://hntdaab.co.uk/blog/2017/03/18/weekend-warfare-1-cgs-s01e01/ and will be the first in a story campaign. Sorry for all the exposed MDF. Part two of my solo campaign is now up on my blog. This time there is actual sneaking around rather than it failing in the first turn. Totally forgot to post this here (was writing it on the train to Salute) but we played another game in Bazistan. Using Spectre rather than Sangin, the battle sees a Challenger 2 leading a convoy through an enemy held town. As well as battle reports I've been doing some other bits of writing. Latest article is a quick preview of Spectre's upcoming MRZR. In brief? I'm a big fan of it. As another review, I've taken a look at Evil Bear Wargames Foxhound vehicle. Excellent, hopefully that will prompt me to start building the one I bought at Salute 2016. How does the build compare to the Panther? I mention it in the review but its pretty simple. Some very similar elements (wheels and axle units are basically the same), difference is mainly the two part chassis. A new battle report is up, covering some special forces operators sneaking into a warehouse at night. Wow, I love the terrain. And I'm envious of your figure painting skills!! Proud member of that peculiar subspecies of humanity known as U.S. Marines.